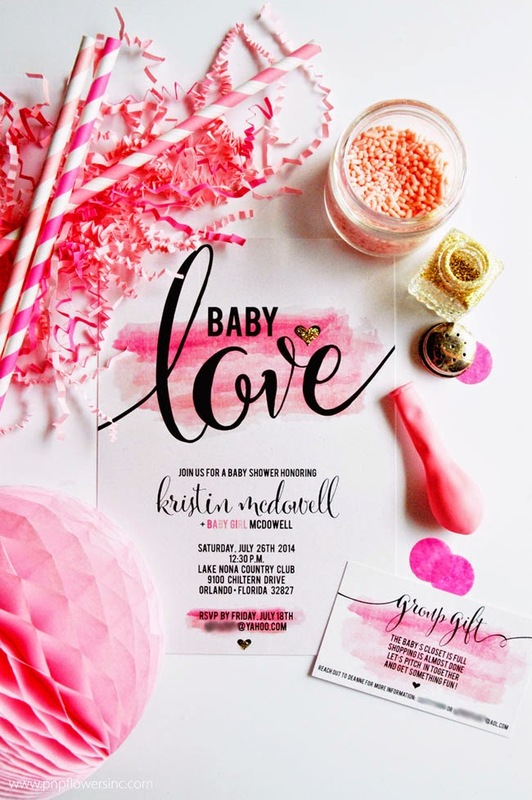 I really love when I'm able to work incorporate a new design concept into two totally different party themes and that's exactly what happened when I created this new Baby Love Collection. 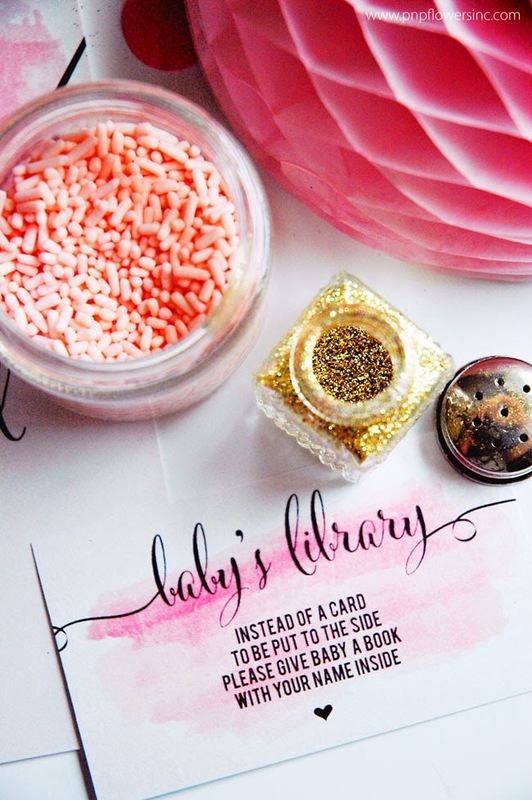 Bre, a friend of mine, reached out to me about designing an invitation for a baby shower she was going to be hosting. Remember that awesome Rustic + Shabby Chic baby shower she hosted and the Modern Bubbles Baby Shower we worked on together? 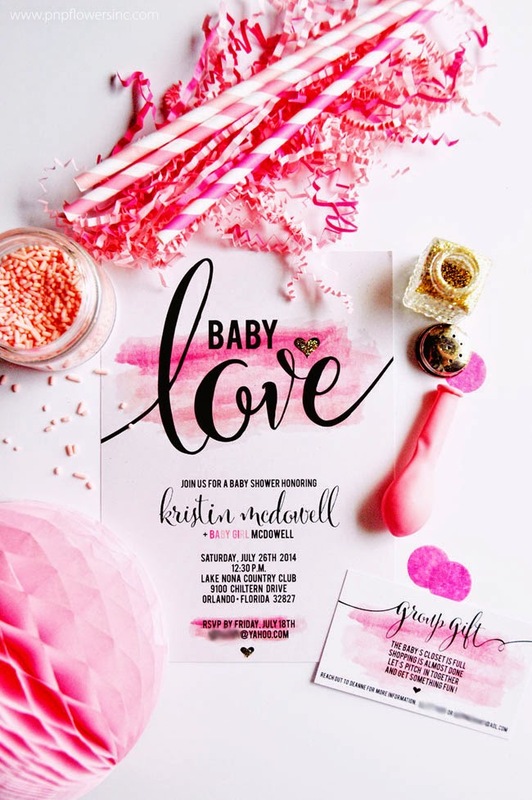 I immediately new the "Celebrate" invitation I'd just come up with for the awesome graduation party I recently shared with you, could easily be adapted for a gorgeous "Baby Love" themed baby shower invitation. Since Bre had already decided she wanted to use a pink + gold color palette all I needed to do was eliminate the orange sherbet from the original watercolor design and add a sweet little heart graphic. I just LOVE how it came out. 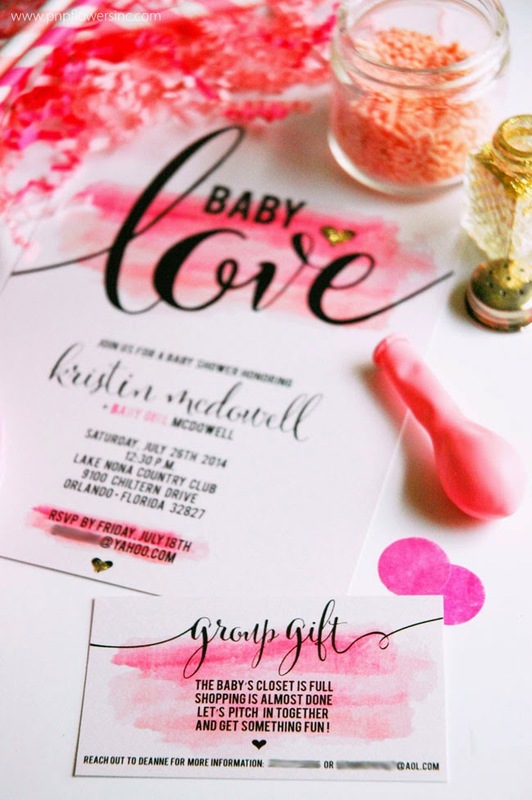 The invitations were printed onto a really pretty pearlized card stock and to tie in the gold from the pink + gold color palette, Bre added gold glitter to the two hearts on each of the invitations. I also love how the double-sided invitation inserts turned out. The sweet and simple rhymes I came up with, requesting guests to participate in a "Group Gift" and to help build the Baby's Library, turned out really cute. 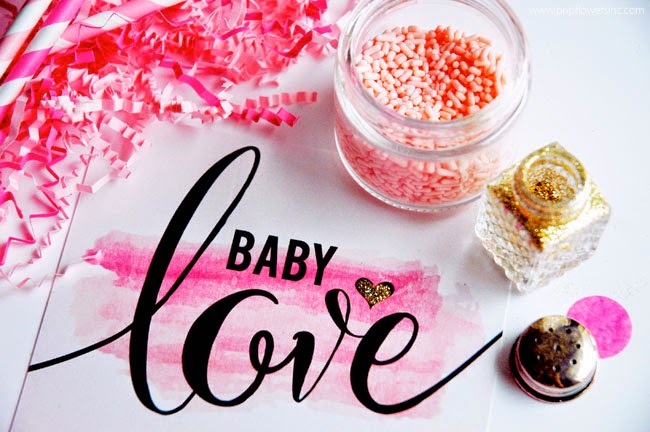 and you LOVE this NEW Baby Love Collection invitation and shower theme, the invitation is now available in the shoppe. Can't wait to see pictures from the shower from this past Saturday!!! Now…I'm off to do a little swimming with Ella and enjoy a tiny bit of Summer sun before we head to her gymnastics class.